IS TAP TITANS 2 WORTH YOUR TIME? So far I’ve only played this on my Android cellphone. It’s also available for iOS. Tap Titans 2 brings everything we loved about the original and just adds to it. Sure it’s more of the same, but it’s more of the same perfect formula that still works. I loved Tap Titans. I loved it to much. I must have sunk over a hundred hours into the first game until my old iPad could no longer support it. Tap Titans and it’s marvelous follow up are active/idle tapping games that allow you to slowly progress and make it farther and farther into the game. You start tapping to make money, buy heroes that tap for you and then upgrading them. This in turns allows you to make more money to buy more heroes and make it farther into the game. I know this sounds repetitive and boring, but for some reason it’s unbelievably addictive. Tap Titans 2 has everything I loved about the first game and just builds upon it. The results are great. When you hit a wall and find yourself unable to go any further, you can reset your progress and earn a special currency that you can then use to buy permanent and upgradeable powerups that make it easier to progress in game. I must have reset at least 20 times already. 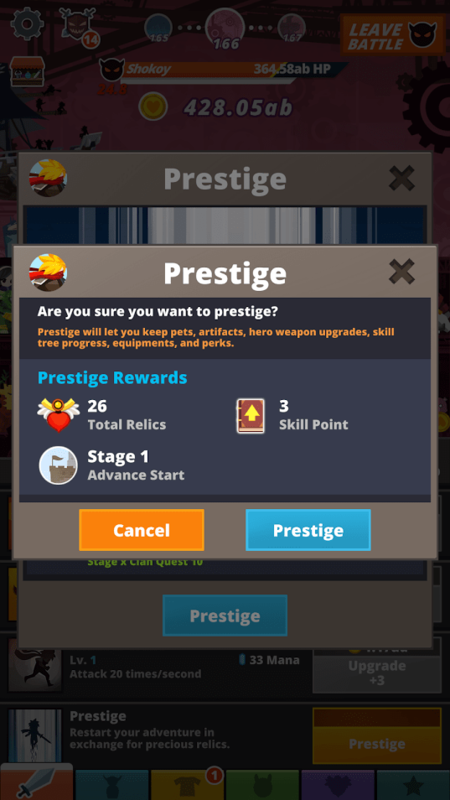 The upgrades you can unlock are really powerful and add to the feeling of progression you feel and enjoy as a player. 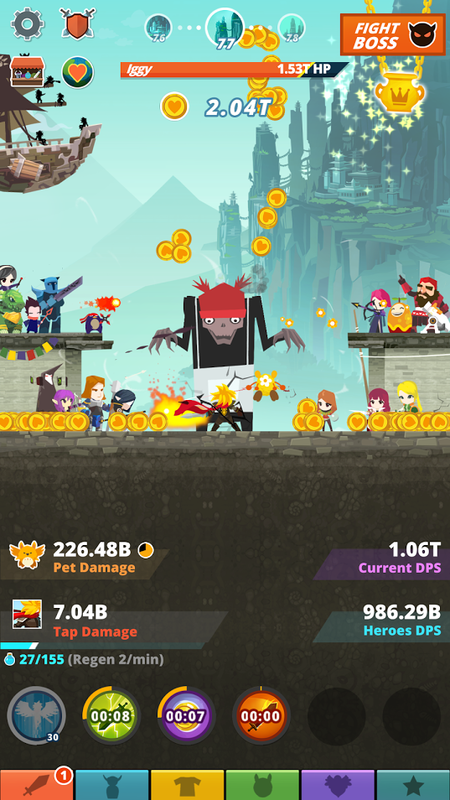 Tap Titans 2 introduces pets that you can level up. Each pet has different perks and art. You also have guilds to join. Normally guilds in freemium games gives me a huge pause, but things aren’t pay to win for the biggest guilds and punishing to smaller ones. You just join up with some random guild, get an attack bonus and the ability to fight a big monster as a group to earn greater attack power boosts. Thats it. No one comes and robs your stuff when youre offline. No being forced to pay into the game to get farther. Just the same ole Tap Titans with a few new cool things. I love it so far. Tap Titans 2 much like it’s predecessor is a freemium game that gives you the option at times to watch a video ad for a perks and bonuses. It’s not obnoxious with the ads at all and there aren’t any cheap interstitial ads that pop up mid game.